14mm CCW Metal 4-Prong Flash Hider. Comes with a shorten Metal Rail Handguard, 9 inch outer barrel, gasblock with folded front iron sight. Comes with a metal rear iron sight. Metal Body Frame with no marking. Constructed of WE Open Bolt GBB system with bolt locked after the lastshot. 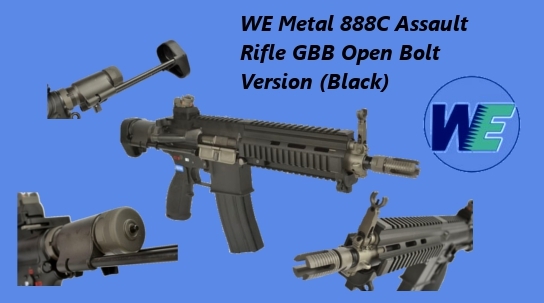 Comes with M4 type GBB Bolt Carrier and shorten M4 buffer and bufferspring.